recap: alberta party leadership convention. 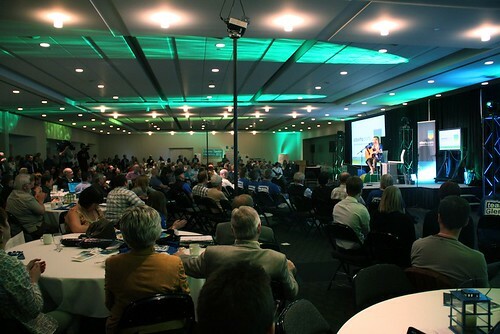 Over 300 people attended the Alberta Party leadership convention. 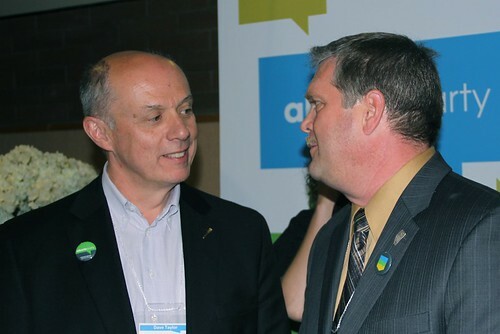 The Alberta Party held their leadership convention on May 27 and 28 at the Shaw Conference Centre in Edmonton and I attended as a member from the Edmonton-Centre constituency. 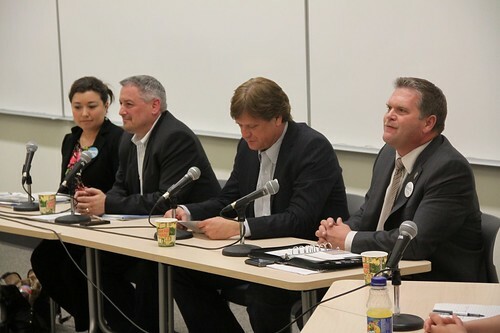 Despite my reservations about the low-key leadership contest, I was impressed with the quality, organization, and positive energy of the event, which drew over 300 attendees from across the province. 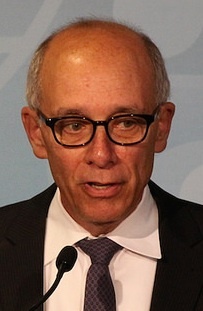 Glenn Taylor was elected on the first ballot. Hinton Mayor Glenn Taylor was elected leader by earning 55% support on the first ballot. 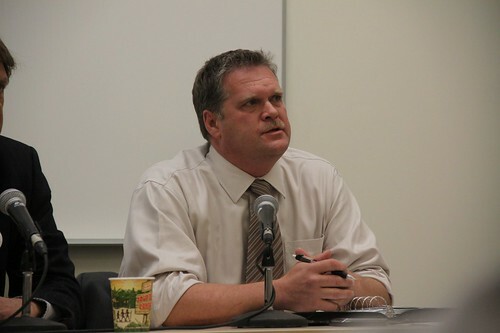 Candidate Randy Royer placed second with 23%, Lee Easton placed third with 12%, and Tammy Maloney placed fourth with 8%. One thousand two hundred voting members cast their leadership ballots over the telephone and the internet. Twelve hundred votes may not seem like a lot, but it is a significant number when you take into account that the Alberta Party only had around 40 members at the beginning of 2010. Outgoing Alberta Party interim leader Sue Huff sang a tongue-in-cheek rendition of "Over the Rainbow." 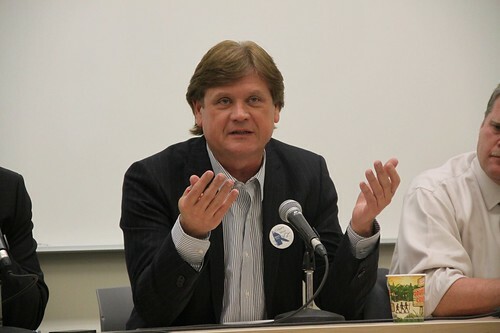 Mayor Taylor takes over the party leadership from acting-leader Sue Huff, who has stepped into the position after former leader Edwin Erickson resigned in November 2010. 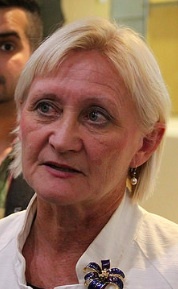 Ms. Huff is expected to be nominated as her party’s candidate in Edmonton-Glenora, an area she represented as a Public School Board Trustee until October 2010. 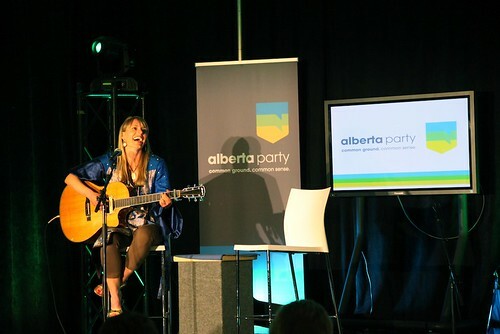 During the convention, Ms. Huff wowed convention attendees with a tongue-in-cheek rendition of “Over the Rainbow,” a good-humoured response to critics of the Alberta Party’s focus on its new approach to policy development through the Big Listen process. 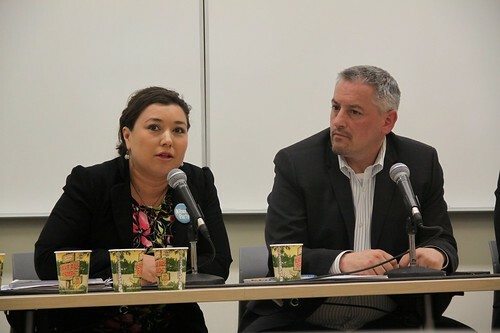 Aside from the announcement of the leadership vote, the May 28 program included updates on constituency organizing from Michael Walters and the party’s 60 constituency Presidents, and speeches from Calgary-Currie MLA Dave Taylor, Election Readiness Chair Chima Nkemdirim, and the announcement of the Alberta Party’s new Health Care policy brief. The policy was introduced to attendees by University of Alberta Public Health PhD student Elaine Hyshka and former U of A Hospital CEO Don Schurman. The policy brief puts a strong focus on primary care and long-term care elements of Alberta’s health care system. 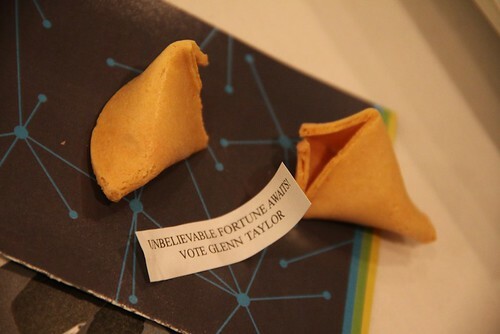 A campaign fortune cookie from Glenn Taylor's campaign. On the evening of Friday May 27 the Alberta Party launched its new visual identity and held a Pecha Kucha-style Big Ideas Night, giving participants five minutes on stage to share their “big idea.” Speakers included Dennis Lenarduzzi, Everett Smith, Danielle Klooster, Connie Jensen, Lisa Marie Fox, Glenn Taylor, Jesse Rowe, and Wade Ferguson. I missed the Big Ideas Night while volunteering at Homefest’s One Room concert that night, so I was glad to read that Mack Male had written about it on his blog. Calgary-Currie MLA Dave Taylor and newly elected leader Glenn Taylor. Having attended countless political events organized by nearly every major political organizations in the province, I have become accustomed to spotting the “usual suspects” in these organizations. One of the measurements I use to judge the success of political organizations are the amount of people I do recognize when attending political events. This weekend, I was pleased to discover that I only recognized around 1/3 of the convention attendees, which I believe is promising news for the Alberta Party. I have posted more photos from the Alberta Party leadership convention on Flickr. This entry was posted in Alberta Politics and tagged Connie Jensen, Danielle Klooster, Dave Taylor, Dennis Lenarduzzi, Don Schurman, Edwin Erickson, Elaine Hyshka, Everett Smith, Glenn Taylor, Jesse Rowe, Lee Easton, Lisa Marie Fox, Mack Male, Michael Walters, Randy Royer, Sue Huff, Tammy Maloney, Wade Ferguson on May 29, 2011 by Dave Cournoyer. 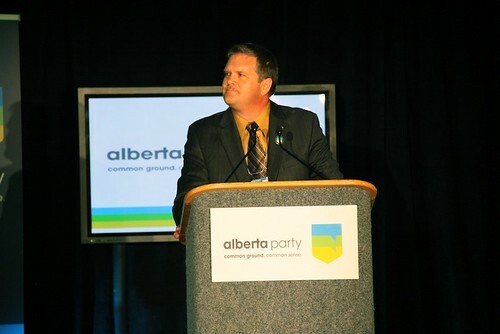 the alberta party chooses a leader – glenn taylor. Congratulations to Hinton Mayor Glenn Taylor for being selected as the leader of the Alberta Party at this weekend’s convention in Edmonton. Mayor Taylor scored a first round victory with 55% of the vote. The convention has drawn over 300 attendees from across the province. Not a bad turnout for a political party that barely existed only a year ago. 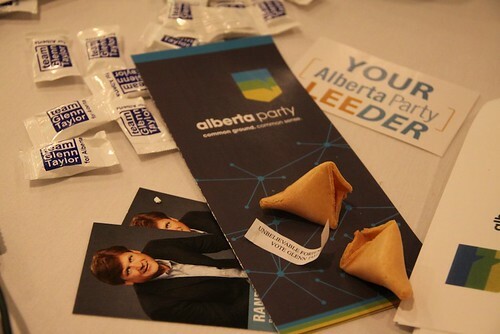 Follow #abpleader on Twitter for Alberta Party convention related tweets. Photos and commentary on this weekend’s convention coming soon. This entry was posted in Alberta Politics and tagged Glenn Taylor, Lee Easton, Randy Royer, Tammy Maloney on May 28, 2011 by Dave Cournoyer. The contest for the Alberta Party leadership is nearing its end, with the results scheduled to be released at an Edmonton event on May 28. The deadline to purchase a membership in order to vote in the contest is May 13 and it is my understanding that the actual voting will take place online over the following weeks. While the low-key contest was largely overshadowed by the recent federal election and the ongoing Progressive Conservative leadership contest, it has been interesting to watch a new cast of characters, not veteran provincial politicians, join this contest. 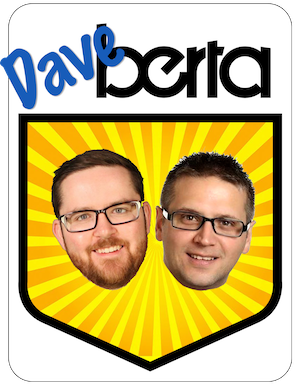 None of these new characters could be characterized as “superstars,” but their lack of substantial political baggage could be a benefit to the newly revitalized Alberta Party. I will be writing more about this contest over the next few weeks. Lee Easton, Alberta Party Leadership Candidate from Alberta Party on Vimeo. Tammy Maloney, Alberta Party Leadership Candidate from Alberta Party on Vimeo. Randy Royer, Alberta Party Leadership Candidate from Alberta Party on Vimeo. Glenn Taylor, Alberta Party Leadership Candidate from Alberta Party on Vimeo. 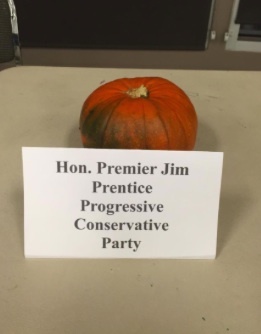 This entry was posted in Alberta Politics and tagged Glenn Taylor, Lee Easton, Randy Royer, Tammy Maloney on May 10, 2011 by Dave Cournoyer.